A cruise on Sydney Harbour, there’s nothing better! 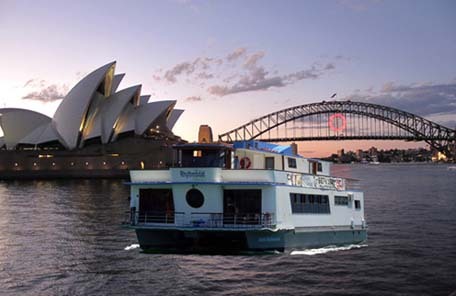 We are known as the Sydney Harbour Rhythmboat and ‘what fun we have’! We have received extremely flattering publicity on Channel 7’s Sydney Weekender and we have had a fantastic article in the Sun Herald featuring our ‘Bingo on the Boat’ concept. Click on the 2GB logo to listen to one happy customer on 2GB’s Open Line. This year we are utilising our boat for day and night trips with the prime motivation to get as many people onto the harbour and give them a great experience with food, beverage and entertainment. We are very conscious of keeping our prices down and if you book with us we guarantee you value for money. We thank all of our previous passengers who continue to support us and we look forward to welcoming you and your group on one of our many cruises we have on offer this year. We are not the biggest cruise company on Sydney Harbour but we go as far as to say we are the ‘most personal’ and that to us is very important. We thank our many Facebook family for posting their photos and comments, they say ‘a picture is worth a thousand words’ so please check out our Facebook page and we welcome you to contribute. As a veteran entertainer has “done it all” as a young DJ he worked on Cruise Ships and has been involved in the setting up, promotion and marketing of many famous night clubs and venues from Port Macquarie to Wollongong. David purchased his first cruise boat over 8 years ago and now combines great entertainment concepts, fine food and beverage whilst “cruising the best harbour in the world”. The business has grown rapidly with ‘word of mouth’ and repeat business proving that he must be doing something right. 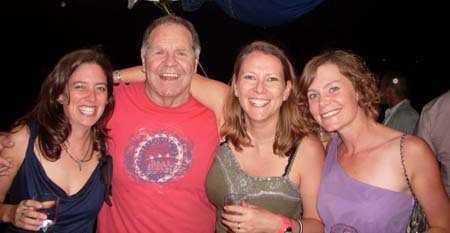 David and his team will welcome you and encourage you to ‘give us a go’ and book a cruise. When you call or email us, one of our Office staff will give you professional and direct service. They can answer all your questions, correspond and accommodate every aspect of your cruise requirements. We have vast experience in hospitality and will liaise with you and give you every bit of assistance you require. Vessel viewings, recommendations for food and beverage packages, entertainment options and wharf availabilities are the essentials you will need to know to ensure your booking with us. It is very important that the negotiation process is thorough and professional and you will be impressed with our helpful and thorough approach.